Mesh sends you daily reports from Asana and your other favorite products. Reports can include things like recently opened or completed Asana tasks, filtered by assignee, project, section, tag, or team. You can use custom sorting and custom due date filtering, too. 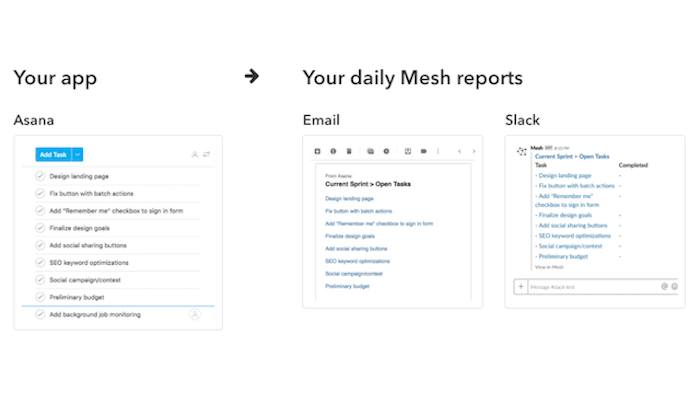 Mesh sends you reports by email and/or Slack, and it integrates with Asana, GitHub, Google Analytics, Google Calendar, and other products.